I was browsing through my friend Minnie Tapawan-Biscocho’s fb photos of her daughter, Andi, when i saw a picture where Andi (5 months then) was reading (or rather looking) a book. I asked Minnie what books were they and she said those were Touch and Feel Books by Brainy Baby. Siyempre inggiterang frog ako, I want Anika also as early as 5 months to be interested in books na. So I went to Powerbooks to look for this Brainy Baby books. Sadly however, Powerbooks only have audio/video eklavu of Brainy Baby. And so, i just browsed the baby books na lang and lo and behold, i discovered DWELL STUDIO BOOKS!! I also thought that this is a great way to spend some of Anika’s monetary gifts from her Christening last Saturday. And so in Powerbooks of Greenbelt 4 and I shopped happy again but this time for baby books. Not all of the books were available though kaya I bought na lang all the available ones. 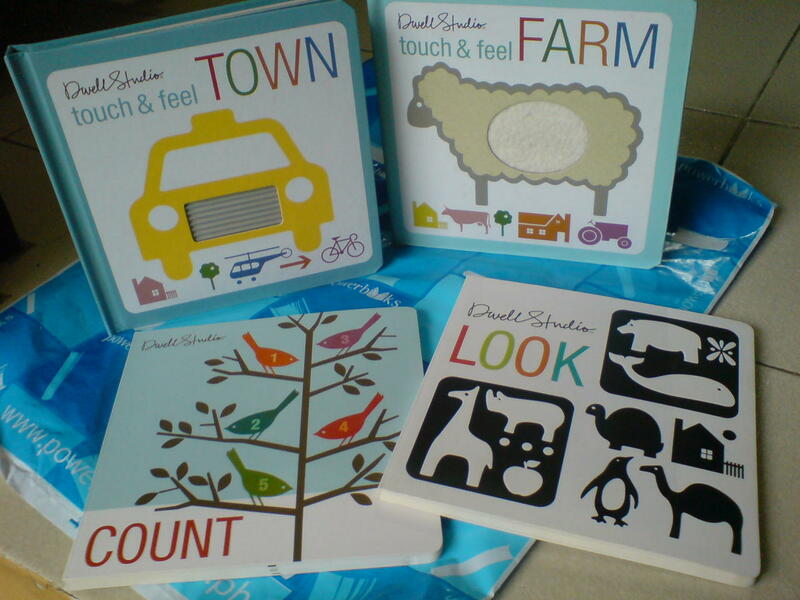 I bought the Touch and Feel books (Town and Farm), Look and Count Books! 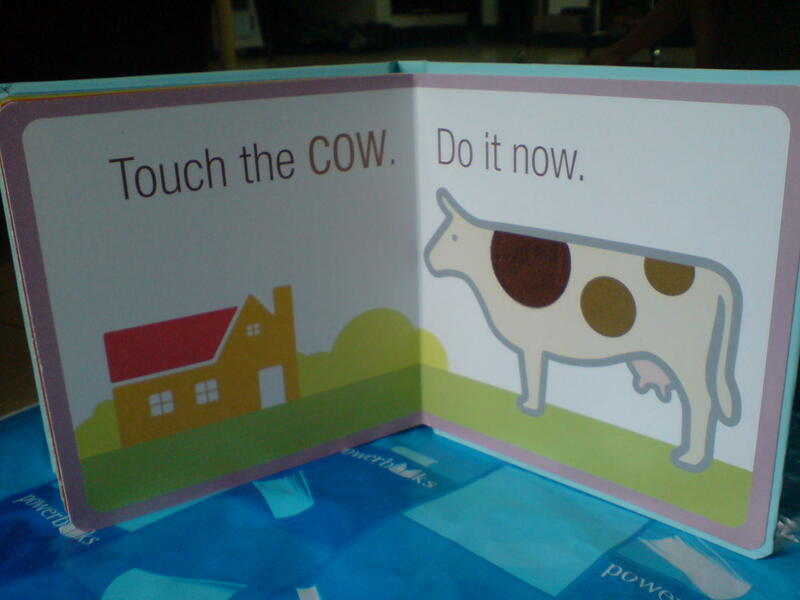 This is the inside of the Touch & Feel Town Book. Inside your baby can look at bright pictures and FEEL them. 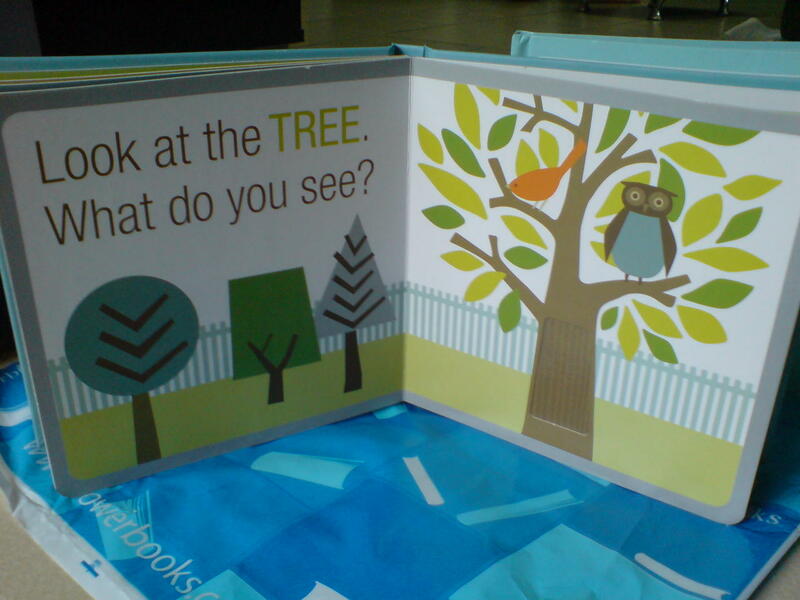 Here for example, your baby can feel the texture of the tree bark. 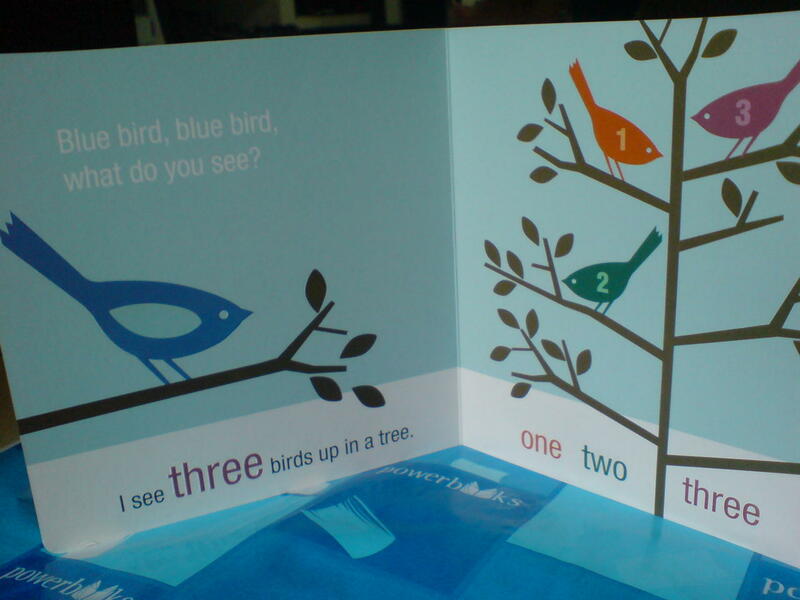 This is the inside of the Count Book. Its repetitive therefore your baby can really catch up with it. This is the inside of the Look Book. 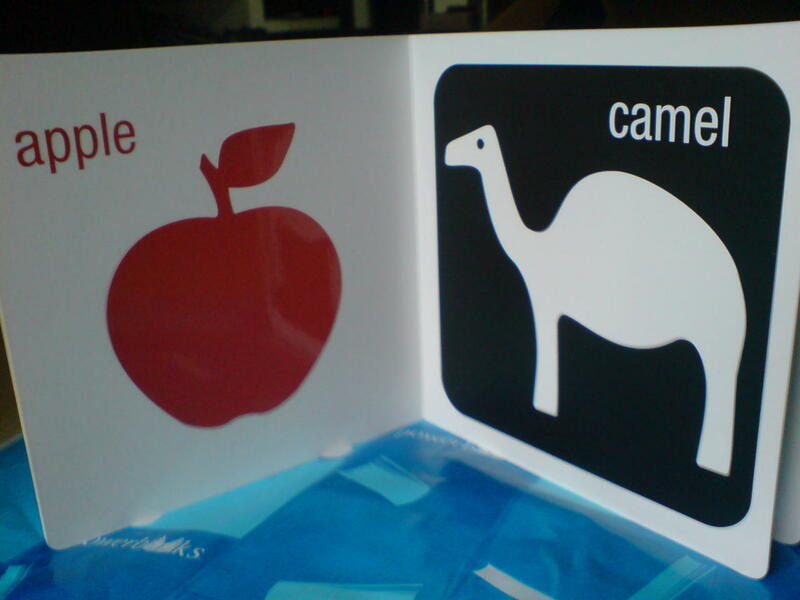 There are big and colorful shapes of things which babies can easily recognize. I highly recommend talaga these books. I learned from somewhere that it is best not to expose babies first in televisions (it’s bad for their eyes). It is best to give them books muna. Remember mommies and daddies, it would be nice if your kids grow up loving to read. So many information they can learn in books. And in the long run, it improves their vocabulary too!